The finale of Auckland’s season came last Thursday evening with upwards of 300 guests turning out for the Auckland Cricketer of the Year Dinner at Eden Park. This event celebrates the accomplishments of the city’s top cricketers male and female, and the evening culminates in the presentation of the John Morris Memorial Trophy to the Auckland Cricketer of the Year. Morris played for the University Club, and for Auckland, making his Plunket Shield debut against Otago at Carisbrook as an 18-year-old. He stepped back from the game to concentrate on his medical career, becoming a pioneer in hip replacement surgery before his early and untimely passing when he was just 37. His name lives on in the trophy presented to Auckland cricket’s best at the end of each summer. Last season’s winner Holly Huddleston was amongst this year’s worthy group of finalists, but the choice of Will Somerville proved a very popular one. 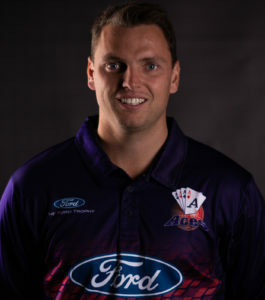 After receiving the trophy, Somerville spoke with feeling not just about the support of his family, team-mates and Aces coach Mark O’Donnell, but of the dream which had brought him back to New Zealand and which fuelled his desire and passion for the game. The dream came to fruition not just in his match-winning test debut performance against Pakistan in the U.A.E., but also one sensed, in the enjoyment he’d experienced through the summer in Auckland’s colours. The evening also saw a special presentation made to Auckland Heart Katie Perkins, who recently played her 100th representative one-day match. Perkins made her debut for Auckland at the beginning of 2007 and since then she’s helped the side reach seven finals and won four national one-day titles. She’s also experienced four competition name changes through a career which has seen her score almost 2,200 runs and hold 44 catches. Guest Speaker for the evening was former Australian wicket-keeper and commentator Ian Healy and he spoke entertainingly, mostly about his playing days. As well as the obligatory stories of sharing a dressing room with the likes of Shane Warne and Merv Hughes, he also offered his insights on the qualities that make a top flight cricketer. He suggested five elements which he thought were critical to success at the highest level, and in order these were technique, temperament, teamwork and camaraderie, the ability to adopt a strategic approach, and fitness. Interestingly, he felt the modern emphasis on strength and conditioning sometimes went too far, mentioning the lack of enthusiasm for this aspect of training shown by his own contemporaries, Shane Warne and Steve Waugh. In a nutshell, he concluded that if you are good enough to be picked to play first class cricket then you are almost certainly fit enough. In the northern hemisphere the English County Championship is already into its second round. There are less than a handful of New Zealanders involved at this stage, but they have all made handy contributions already. 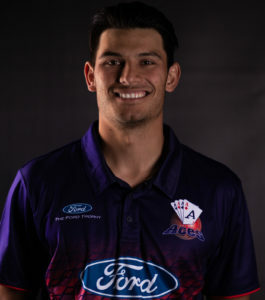 Last summer’s Auckland Ace Matt Quinn has resumed his career with Essex and he took 3/104 as his team suffered a comprehensive first-up loss to Hampshire. Further north, Logan van Beek, the Wellington all-rounder, is turning out for Derbyshire and he’s already chipped in with handy wickets and lower-order runs. Once again the evergreen Jeetan Patel is captaining Warwickshire and he started his northern summer with 3/113 off 35.5 overs – the most overs bowled and the most wickets taken as his side were punished by Kent, who accumulated 504/9 declared. Ross Taylor is off to Lord’s, where he’ll be warming up for the World Cup by representing Middlesex in the 50-over Royal London Cup competition which gets under way this coming week. In the IPL many of his Black Caps team-mates are seeing very little game time so far. Mitchell Santner grabbed the headlines with his last-ball six to see the Rajasthan Royals home against the Chennai Super Kings. He’d also made his mark with the ball, opening the bowling and claiming 1/25 off his four overs. Colin de Grandhomme was run out for 37 to top score for Royal Challengers Bangalore as they went down heavily to Sunrisers Hyderabad. Lockie Ferguson took 1/38 against the Delhi Capitals, but found the going much tougher when his Kolkata Knight Riders took on Royal Challengers Bangalore, minus de Grandhomme but with Tim Southee in their line-up. This time Ferguson had just two overs, conceding a costly 32 runs. Southee had his full allowance but fared little better, going for 61. They weren’t alone in being punished – Southee’s team-mate, Australian Marcus Stoinis, went for 28 off just 1.4 overs. These players aside, the New Zealand contingent have been conspicuous by their absence over the last fortnight. On a positive note though, Kane Williamson is said to be ready to return for Sunrisers Hyderabad in their next game, after playing only one match so far due to his shoulder injury. Finally this week, the 156th edition of ‘Wisden Cricketers Almanack’ was published in England a few days ago. Congratulations are due to 2017-18 Auckland Ace Sam Curran, named one of the Almanack’s Five Cricketers of the Year following his meteoric rise to prominence with England last northern summer. 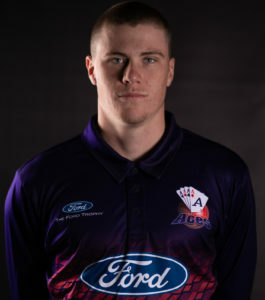 Selected for his country before his 20th birthday, Curran took to test cricket like a veteran, and he is now enjoying an impressive debut season in the IPL, celebrating with a hat-trick against the Delhi Capitals.